There’s one genre in cinema that attracts some of the greatest directors of all time, from Sergei Eisenstein, Stanley Kubrick, Francis Ford Coppola, Terrence Malick, Steven Spielberg, Quentin Tarantino, and Christopher Nolan – films about war. They have been brought to the screen by many legendary filmmakers who all try to capture the bravery, insanity, and brutal realities of warfare with their own unique vision. There was a period in Hollywood when war movies frequently played in theaters; those post-World War II films glamorized the allied victory during the most important conflict of the 20th century. Things would take a darker tone decades later when filmmakers’ disillusion with the Vietnam War told a more realistic and unflinching look at the horrors of modern warfare. Each generation of filmmakers tells stories from their own historical perspectives, and for a country like the United States, which has been at war for nearly 20 years, one would think there would be a slew of war movies that take place in Iraq and Afghanistan. However, for close to two decades, there have only been a handful of movies that deal with our current military quagmire. The invasion of Iraq has gone down in history as one of the most controversial military conflicts the United States has engaged in since the Vietnam War. Without a nationwide draft and with a all-voluntary military fighting overseas, the current war has little impact on the majority of Americans back home, making the conflict in Iraq an afterthought for the majority of moviegoers. 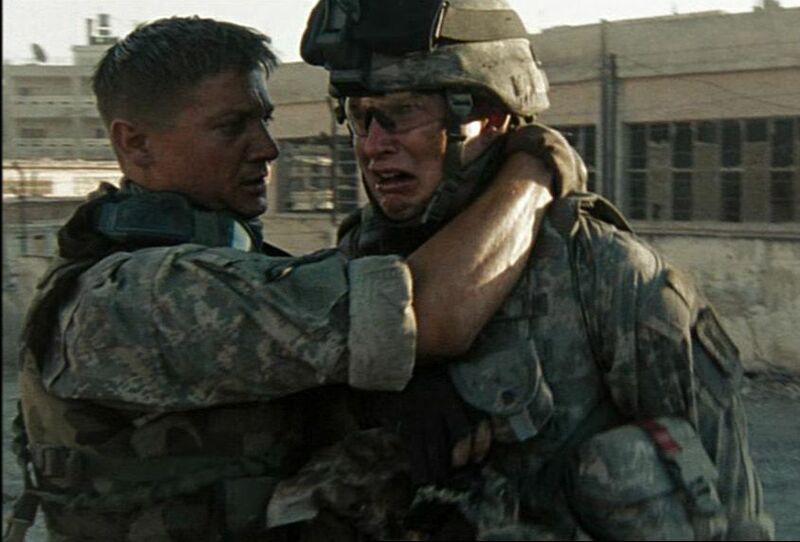 When film “The Hurt Locker”, directed by Kathryn Bigelow, was released in 2008, the conflict in Iraq finally had a defining movie that showed the hellish realities our current generation of soldiers must face. The film is riveting, maintaining the one quality that all good war movies must possess – capturing the heroism of the average soldier while facing the nightmares of war. 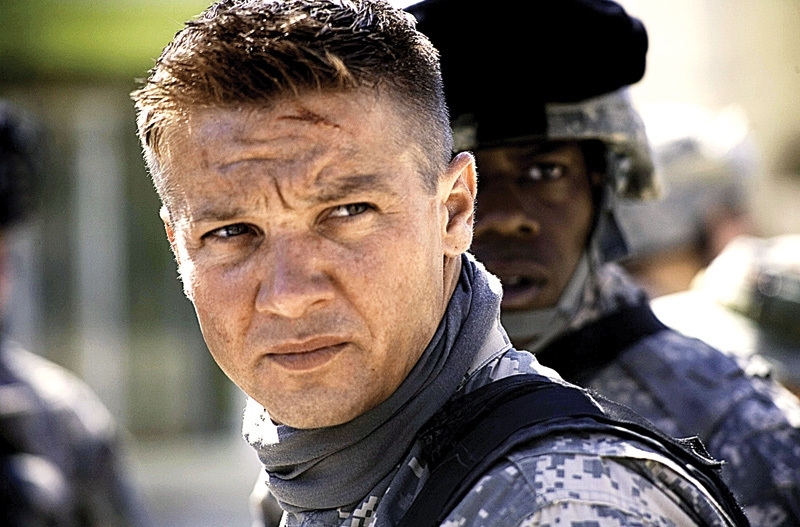 “The Hurt Locker” is devoid of the glamorization of the post-World War II films and has none of the anti-war messages of the post-Vietnam War movies. 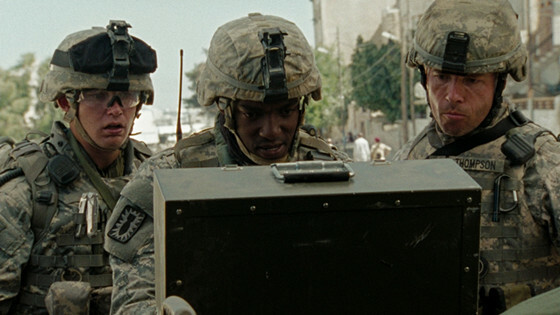 Instead, “The Hurt Locker” presents non-judgmental look at our current military conflict, presenting it in a tense realistic narrative, making “The Hurt Locker” a cinematic masterpiece about the current battle for hearts and minds in the Middle East. When the President of the United States sent troops to invade Iraq over fears the country’s strongman, Saddam Hussein, possessed weapons of mass destruction, Americans were split over the decision to go to war. Some Americans supported the war effort after reeling from the 9/11 terrorist attacks, while others were against the conflict, seeing it as a misguided use of military force. While the American public was split down the middle when it came to the Iraq war when it first started, after a few years of fighting, just about everyone in the country was frustrated and dismayed regarding how the war had turned out. American soldiers were suffering casualties on the battlefield and thousands of innocent Iraqi civilians were being killed because of the conflict. For a storyteller, the backdrop of the Iraq War could be a hard place to find sympathetic heroes, but journalist and screenwriter Mark Boal brilliantly tells his story from the point of view of the most unselfish warriors in the battle – the soldiers working in the Explosive Ordnance Disposal unit. This team of men serve both their fellow soldiers but also the civilian population by defusing dangerous bombs that have the potential to cause unspeakable damage. In 2004, Boal was embedded with a real-life bomb squad in Iraq for a couple of weeks, and his experience covering the soldiers gave him the material he needed for “The Hurt Locker”. While embedded with the unit, Boal kept in contact with Bigelow via e-mail; the two had collaborated on a previous project and the director became intrigued by the concept of a war movie. Boal started working on the script, and his time covering the bomb squad allowed him to find the perfect heroes from an imperfect war. Also, by having two deadly antagonists, these heroic protagonists must not only deal with insurgents on the battlefield, but also the silent assassins’ hidden explosive devices, which are just as formidable as the armed insurgents. This fact gives the film a double dose of suspense and intensity. Before they became huge stars as part of the Marvel Universe starring in the Captain America and Avengers franchise, Jeremy Renner and Anthony Mackie were up-and-coming unknown actors when they starred in this film. Bigelow wanted a group of unknown actors so the audience could focus solely on the story. 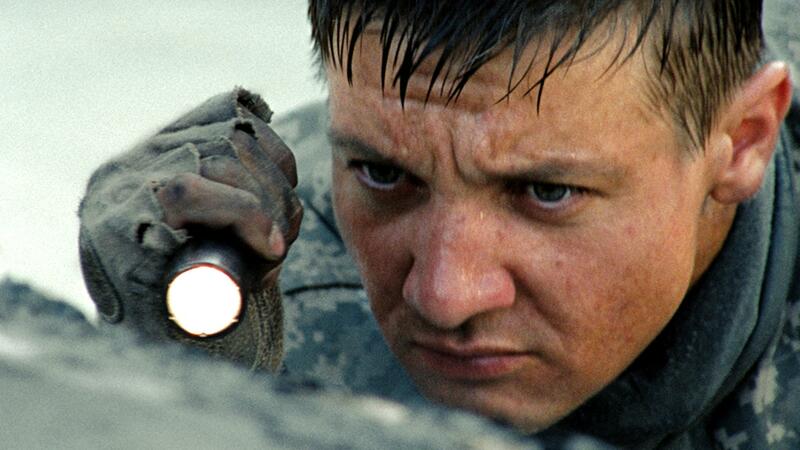 Renner and Mackie give great performances as young men tasked with not only keeping each other alive, but who are also responsible for keeping their fellow soldiers and the civilian population safe by defusing live bombs. 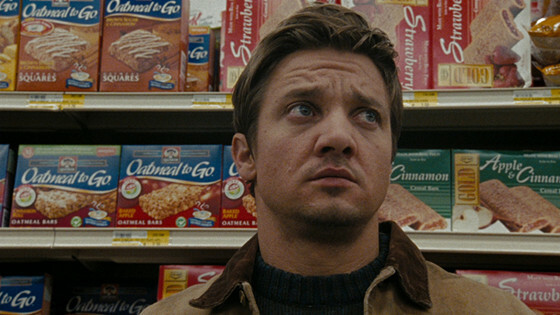 Renner plays the high-strung Sergeant William James, a soldier who’s good at what he does and sometimes takes unnecessary risks, but that trait is what makes him good at defusing bombs. Anthony Mackie plays J.T. Sanborn, the total opposite Renner’s character; he’s conservative and does everything by the book. The two men are often at odds with each other, but Bigelow brilliantly shows how during warfare, soldiers will put their differences aside for survival. The film was shot on location in Jordan and Kuwait, and working on the film as extras were real-life Iraqi refugees and their presence on the set helped the American actors have an honest perspective about the conflict. At the time, these unknown actors helped give the film its realistic edge, and with cameo appearance from veteran actors like Guy Pearce and Ralph Fiennes, the solid acting in the film help transcends the movie from a good war drama to one of the best war films ever made. Bigelow has been proving for years that women filmmakers can direct great action films; she has been directing some of the best action films released over the last 30 years, and “The Hurt Locker” is, without question, her best film to date. With films like “Near Dark”, “Strange Days”, “Zero Dark Thirty” and cult classic “Point Break” (which is without a doubt one of the most underrated action masterpieces ever made), her soon-to-be-released “Detroit” proves that Bigelow’s action films have more testosterone in them than action films made by male directors. To help achieve a level of realism, Bigelow had multiple cameras hidden from the actors in some scenes so they wouldn’t act for the camera or be distracted, so they could give a more honest performance; the director shot more than 200 hours of footage during production. On top of that, Bigelow is one of the few action directors with name recognition as the selling point of the film. She didn’t just crack the glass ceiling of a male-dominated genre – she shattered it. “The Hurt Locker” would earn Bigelow an Oscar for Best Director, beating out her ex-husband James Cameron for the same prize and she would become the first woman in history to ever win in that category. Filmed on the smaller format of Super 16mm, the film has a grainy real-life visual style in its depiction of war. Most films are shot on the bigger 35mm format or on digital capture. The smaller Super 16mm is grainier film stock but produces beautiful images, especially when you have a great cinematographer like Barry Ackroyd involved. One reason, aside from the budget, why the director chose the format is because she felt the Super 16 format would help immerse the viewer into the story, since the film stock is not as slick and glossy as the 35mm film stock or digital 35mm sensors. With 200 hours of footage, the editing that gave “The Hurt Locker” its suspense and realism comes from the husband and wife team of Chris Innis and Bob Murawski, who had the daunting task of putting together a cohesive film. The screenplay by Boal was episodic and didn’t have conventional movie villain. The film was edited on location in Jordan, but the country didn’t have the adequate infrastructure to develop the film stock, fearful of shipping it through security at the airport where it could be opened or X-rayed. They had the footage shipped by plane, accompanied by production assistants, to London where it was developed, and the video dailies were flown back to Jordan. This minor inconvenience didn’t stop the editing duo from putting together a tense and riveting film. The couple would go on to win an Oscar for Best Editing for the work they did on this film. With all carnage, death, and destruction that happens in war, it has to be the closest thing to hell on earth, but even with the horrors involved in warfare, some soldiers become addicted to the chaos and the movie examines this phenomenon. Sergeant William James seems to be a man on a mission to prove something, but what exactly is it? Does he want respect from his fellow soldiers by proving he’s the best at what he he does when it comes to defusing bombs? Does he want to prove he’s the ultimate professional? His cowboy behavior has the opposite results; some of the soldiers in his unit even contemplate killing him because his behavior might become a liability, causing everyone in his squad to get killed. James even collects souvenirs from the bombs he defuses; however, his fellow soldiers only consider his obsession as weird. What James is trying to prove is that, much like his fellow soldiers, he hates war. However, that would be a lie. He’s addicted to war; he loves the adrenaline, he loves the chaos, and – dare we even say – he loves the killing. For close to two decades, the US has been at war with an all-volunteer fighting force; the war is fought by soldiers going on tour after tour of combat. The pay is good but risking your life year after year for a decent paycheck doesn’t make sense. One has to wonder how many soldiers become addicted to war. “The Hurt Locker” examines this theme, because when James returns home from a tough tour of duty, he should be the happiest man on earth. Reunited with his wife and young son, he no longer has to worry about being blown to pieces if he does his job wrong. But James isn’t adjusting well to civilian life and one night confesses to his toddler son, who’s too young to understand, that he can’t live life without war. 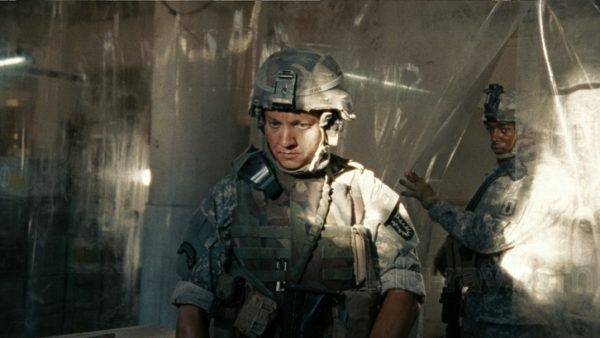 The last image of “The Hurt Locker” shows James returning to Iraq for another tour of duty, and the true tragedy of the film is when the audience sees the joyous expression on James’ face as he leaves the aircraft returning to his addiction to war.